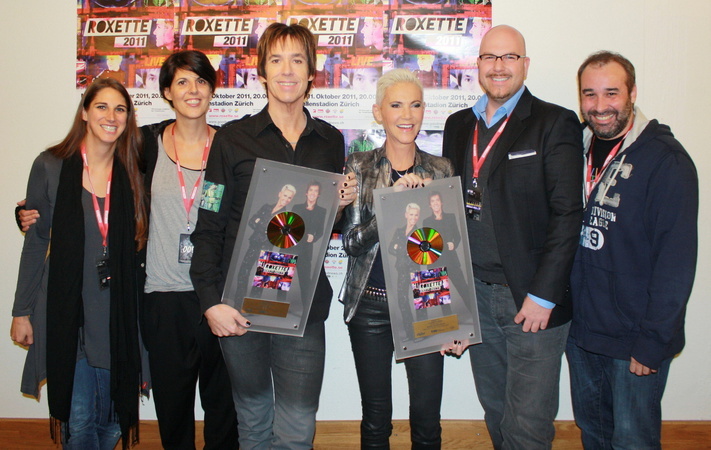 After receiving golden records in Germany, Czech Republic, Sweden and Russia, Roxette finally got this award in Switzerland – just before the Zurich concert. Have a look at picture below. Great news! So, how many CS albums have been sold ? In April press release it was said that 300,000 copies of CS were sold. Later on in one of interviews Per told that half a million was sold. So let’s say that it’s true that 500,000 Charm School albums were purchased during these 9 months.